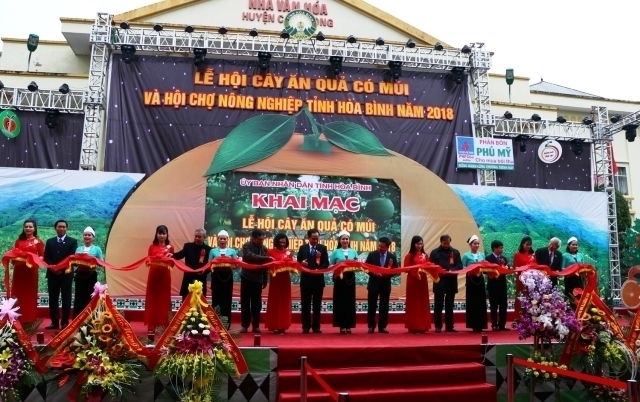 The provincial Citrus Fruit Festival and Agricultural Fair opened in Cao Phong district, of the northern mountainous province of Hoa Binh, on December 12. The events featured the participation of nearly 200 organisations, enterprises and production households in the province and other localities. 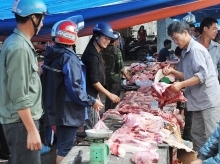 The festival and fair offer an opportunity for Hoa Binh to promote the citrus fruits and agricultural products from its localities as well as contribute to raising awareness of protecting and developing the brand of key agricultural products, particularly citrus fruits, in the province. The events are expected to create favourable condition for producers and enterprises to seek opportunities for cooperation and linkage in production and business, towards domestic and foreign markets. In the production areas, organizations, enterprises, cooperatives and producers have applied high technologies under clean and safe standards. 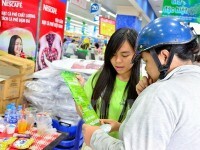 There are around 1,000 ha of oranges, tangerines and grapefruits around the province which have been granted VietGap certification and stamps for trace of origin. The Hoa Binh Citrus Fruit Festival and Agricultural Fair will run until December 15.